Since 1997, Pak Mail of Jonesboro has been offering our services to artists, galleries, museums and auction houses to ship works of art. We provide personal service to our clients in the greater Jonesboro area; including custom packaging, crating and shipping these items with special care. 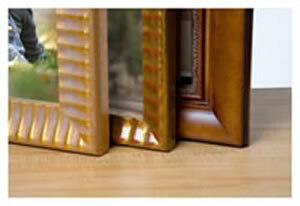 We know that family heirlooms and works of art are precious and deserve our utmost attention for the safest delivery. When shipping with us, as professionals, we understand the shipping process and what your package will endure during the shipping process. We provide pick-up and onsite packing and crating for residents and businesses in the Greater Jonesboro, Northeast Arkansas and Southeast Missouri areas. We offer a choice of transport modes to meet your budget and delivery needs. We offer the lowest shipping rates in Jonesboro for parcel (UPS, FedEx, DHL, USPS), blanket-wrap, and overland, air, & ocean freight based on our franchise network’s buying power. We ship internationally using packaging and crating materials that meet export standards.